Still going on, get all of the astrological goodness of the new year, for more than half off, a Black Friday, and what’s the other one? Cyber Monday? 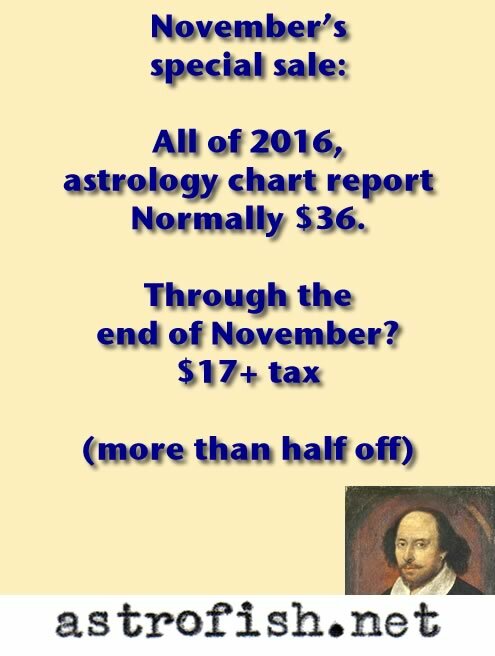 On sale through the end of this month only, the whole Astrology Report, calculated for individual natal chart. Only through the end of the month. All of 2016 in a handy PDF. Custom made, no two are alike.